Matthew M. Jensen | Fafinski Mark & Johnson, P.A. 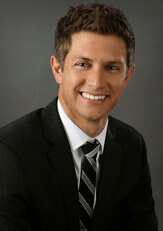 Matt Jensen practices in the Trusts & Estates and the General Corporate & Business groups at FMJ. Throughout his practice, Matt enjoys working with individuals and families to understand their big picture goals and help create customized estate or business plans to further their goals. He is attentive to the fact that both business and familial circumstances change and evolve, and strives to keep an open line of communication with his clients to ensure their wishes and plans stay current. In his Trusts & Estates practice, Matt assists individuals and families with their estate planning needs in addition to working with business owners in regard to comprehensive estate planning and business succession planning. Within the General Corporate & Business practice group, Matt works with business owners and their families as it relates to the formation, management, and operation of the business, as well as integrating business planning and estate planning. Following his undergraduate education and prior to graduate school, Matt worked as an internal FINRA-licensed broker for a Minneapolis financial services company. In that role, Matt worked on multiple trading platforms, developed and managed asset allocation portfolios, assisted with estate and trust administration needs, and aided clients and company advisors with other brokerage needs. Working in the financial industry through the volatile 2008-2009 period gave Matt an appreciation of the need for coordinated legal and financial planning. Prior to joining FMJ, Matt was a law clerk for the Legislative Committee of the Probate & Trust section of the Minnesota Bar Association. Matt was named a Rising Star by Super Lawyers Minnesota in 2018. “What is Probate Property?” FMJ Trusts & Estates Blog (May 2017). “Life Insurance Considerations for Estate Planning,” FMJ Trusts & Estates Blog (May 2017). “The Revocable Trust as an Estate Planning Tool,” FMJ Trusts & Estates Blog (April 2017). “The Interplay Between a Will and the Probate Process,” FMJ Trusts & Estates Blog (April 2017). “Cabin Succession Planning for Your Family,” FMJ Trusts & Estates Blog (March 2017). “Estate Planning Is Not Just for the Wealthy,” FMJ Trusts & Estates Blog (March 2017). “Too Young for an Estate Plan? Think Again.” FMJ Trusts & Estates Blog (March 2017). “Estate Planning 101,” FMJ Trusts & Estates Blog (February 2017). “Changes to Estate Tax Exemptions 2017,” FMJ Trusts & Estates Blog (November 2016). “Lessons to be Learned from Celebrity Estate Planning Miscues,” FMJ Trusts & Estates Blog (April 2016). “Changes to Estate Tax Exemptions 2016,” FMJ Trusts & Estates Blog (January 2016). “Have You Thought about Your Beneficiary Designations Lately?” FMJ Trusts & Estates Blog (March 2015). “For Business Owners, Estate Planning Requires Extra Steps,” Upsize Magazine (January 2015). Matt grew up in Waconia, Minnesota, and enjoys working so near to family and friends. Matt currently lives in Chaska with his wife and young son. Outside of the office, Matt enjoys golfing as often as possible, relaxing and reading near any lake in the summer, and skiing in the winter.